Paul offers a discount of 50% on their first / introductory lesson! My musical career has been long and varied and includes training in classical music during my school years and passing grade 8 violin (merit) at age 18. Since then my interest has turned largely to folk music and especially to the Celtic tradition. Over the last 25 years I have played in many bands (at least 10) and have run folk music tutorials and courses at festivals and in Norwich as well as giving private lessons. Probably my best known band was Mooncoin, who no longer exist, but who became quite successful at a local level, in the Norfolk area in the early 2000s. Now I play in many sessions (Celtic folk get-togethers) and am running a Celtic music course in Norwich. I have taught privately in Norwich and run tutorials and courses on Celtic music and am now hoping to expand my teaching to do more private lessons as I feel this is the most conducive format to inspire people to learn and play. My approach is quite informal without any exams (unless requested). I want to inspire my pupils to really enjoy the music, as I do, and I'll focus on getting a great feel for the music as well as the techniques required to play. Support in the form of video/audio tutorials is also offered. Theory of music, especially how it applies to 'folk' music can also be looked at if the tutee would find it useful. Reply from: Paul: Thanks Ani. I'm very pleased that you're enjoying your lessons. 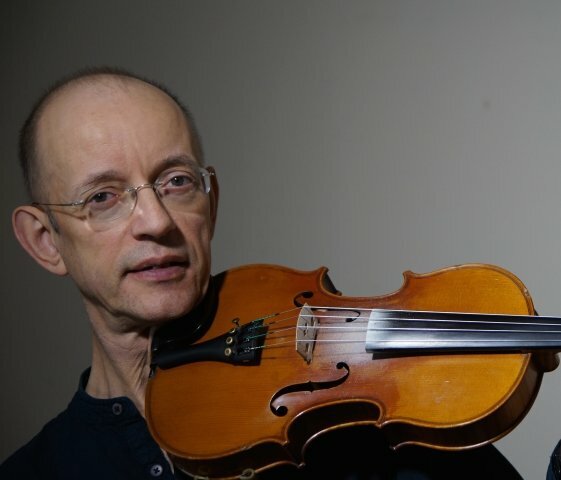 PaulFrom Janet (5/5): Great first lesson - really put me at my ease after so many years of not playing the violin. His relaxed style and love of celtic music is what I was looking for. Reply from: Paul: Thanks for your kind words Jan. I enjoyed our first lesson too. PaulFrom Charles (5/5): Paul is a great tutor, he is very patient and knowledgeable. I would recommend him for anyone just starting out with the violin! Reply from: Paul: Thanks very much for your feedback Charles.